Uptown in September 2015 was the 10th anniversary celebration of Christie’s First Open/NYC with a panel discussion featuring critic and curator Barbara Pollack. The contemporary collection in the Phillip’s auction preview of New Now, included a smart combination of history and edge with a mix of both established icons and a generation of younger artists. The show included an eclectic range including works by Ibrahim Mahama, Hugh Scott-Douglass, Magnus Plessen, Robert Beck and Margo Wolowiec. Beginning at Hauser & Wirth on 18th Street, here unfolded the infamous work of Mike Kelley in a massive exhibition, dimly lit and otherworldly featuring mixed media, sculpture and video projection. 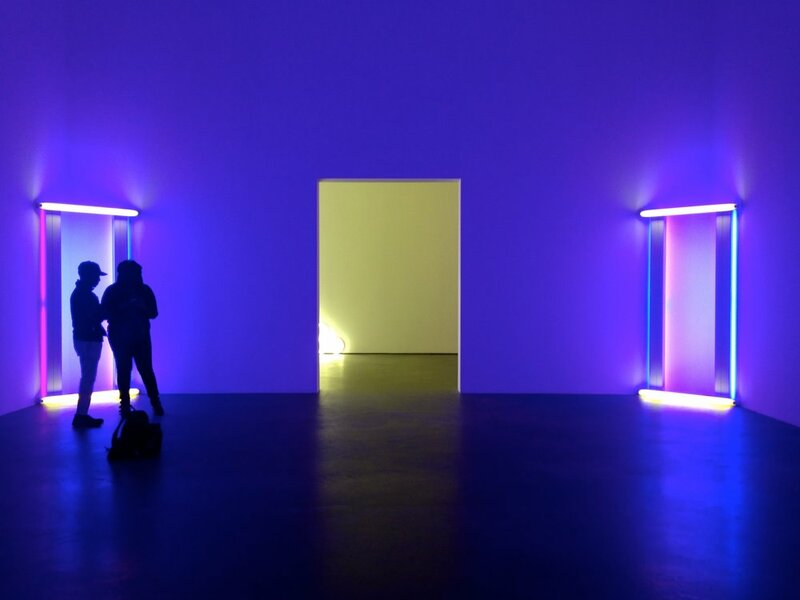 Next, another icon at David Zwirner; work by Dan Flavin transformed the white-walled space with the entire gallery illuminated, followed by another giant work both in history and in size was Roy Lichtenstein’s mural at Gagosian Gallery on 24th . In addition to these unforgettable shows, paintings and mixed media work by established artists such as Barnaby Furnas at Marianne Boesky, Josiah McElheny at Andrea Rosen, Christian Marclay at Paula Cooper and others featured at Elizabeth Dee Gallery and Petzel Gallery, proved an exciting start to the beginning of a new season. Deitch Projects, Cameron, Black Egg, n.d.
Deitch Projects, Cameron, East Angel, n.d.
Deitch Projects, Cameron, Night Tide, n.d.
Deitch Projects, Cameron, Songs for the Witch Woman, n.d.
Deitch Projects launched the opening of a retrospective, Cameron: Cinderella of the Wastelands taking a look back at a renegade female artist far ahead of her time in addition to a new book, Live the Art (2014), cataloging his historic exhibitions – a gem collectors should know well about. Like the Deitch Show, at Ronald Feldman, once again we saw another interesting female artist, Kelly Heaton, breaking ground, combining art and science in her solo show Pollination.